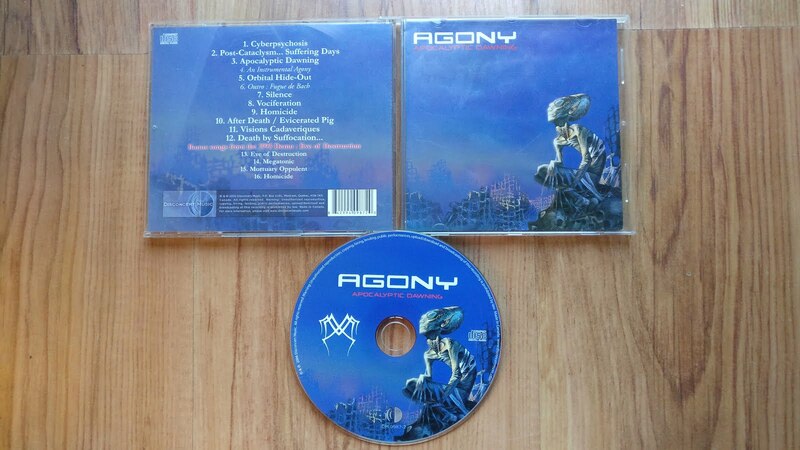 Canadian death metallers Agony here, with their debut album from 1995. This was originally self released on cassette only in '95, but finally got this CD release on Disconcert Records in 2006, which comes with songs from their '93 demo as bonus tracks. Although brutal and technical, this is reassuringly mid-90s sounding brutality - so this would probably go down very nicely with the OSDM lovers amongst you. Well worth tracking down, a pretty damn tasty morsel of metal goodness.